and a benefit for so many in the the community and surrounding area. A Nordic tradition on Minnesota's North Shore! Check out our Schedule of Daily Events. Saturday AND SUNDAY! Take the train from Duluth to Knife River. Shop for unique, locally-made gifts. Decorate your home with locally-made items. 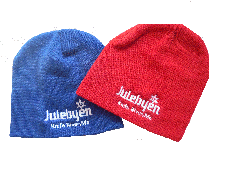 Visit the Julebyen Information booth where you can also pick up Julebyen™ souveniers. Fun and food served up in our huge Julebyen tent. Sleigh rides, vendors, food and fun!! Family fun with games, scavenger hunts, sledding and more! Lots of fun things to do for the entire family. 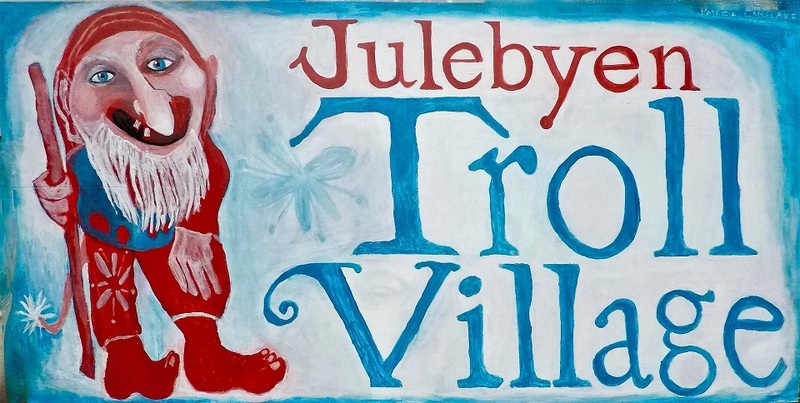 Julebyen (pronounced YOOL-eh-BE-en) means "Christmas Village". It is a centuries-old Scandinavian and German tradition celebrated with ethnic foods, crafts, holiday decorations, and music. This December, Knife River (a fishing village of the North Shore of Lake Superior just north of Duluth) is home to an authentic, and unique Julebyen fest. Secure parking lots available ($5 suggested donation). * Troll Village , across the street, with a book corner meet regional authors and illustrators) and a variety of recreational exhibits and vendors. * The Gnome Dome Visit the performance, activites and food tent for the Scandinavian Bakeri, live performers and workshops. * Children's Activities including craft workshops, fun races and learning activities, outdoor recreation, animals, and more. There is much to explore. You can drive or take the train! 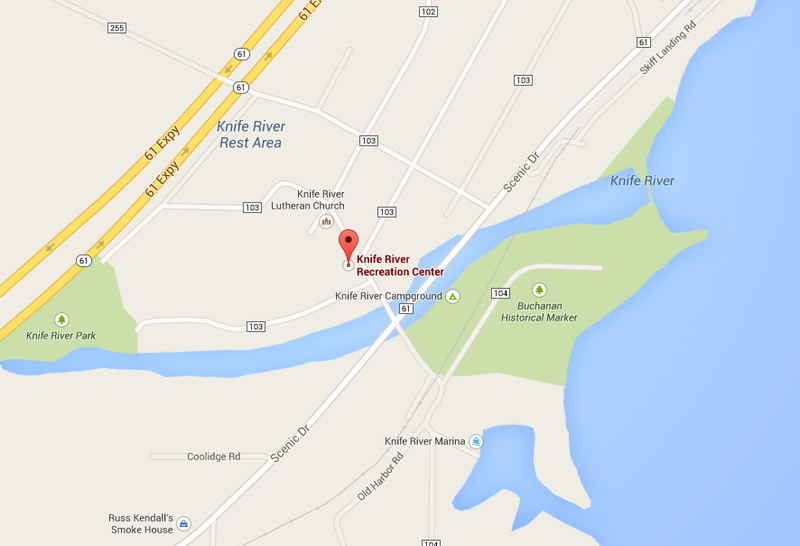 We are just a short drive away from Duluth or Two Harbors. 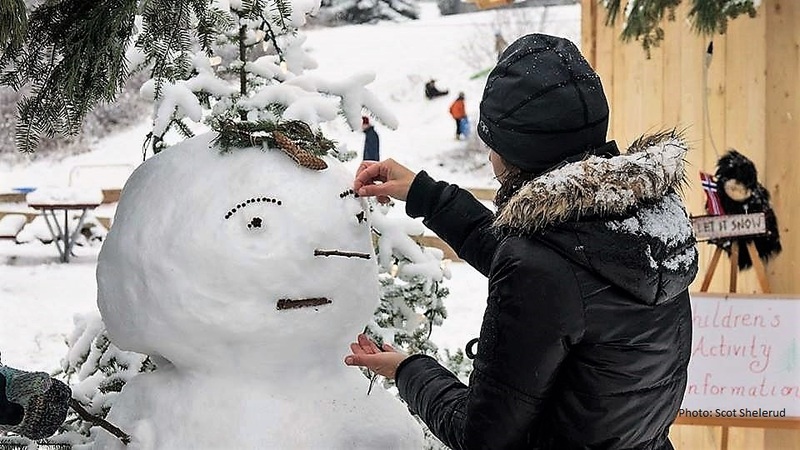 The Julebyen Christmas Village is just 14 miles north of Duluth (or 8 miles south of Two Harbors) along the scenic shore of Lake Superior at the Knife River Recreation Center. 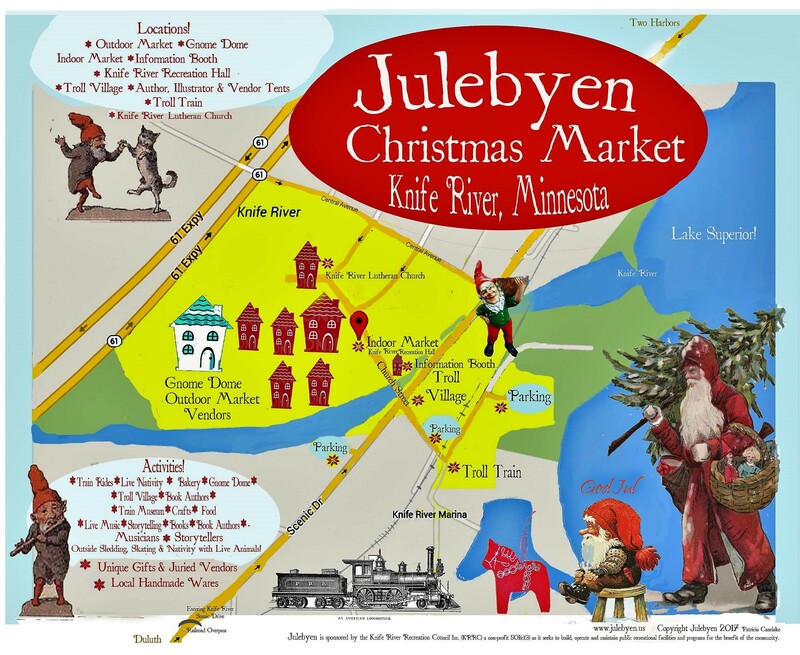 Take the Julebyen train up from Duluth on Saturday or Sunday, or drive up any day. Parking is available along some city streets. Secure parking ($5 donation) is available in various locations within easy walking distance. Please observe areas cordoned off for special purposes. There are passenger drop-off points in front of the Julebyen Village. Menu: Swedish Meatballs & gravy, potatoes, peas, rye bread, lingonberries, Tosca cake, hot apple cider and juice boxes. Macaroni Joes for the Kids. Silent Auction: Numerous donatons from Julebyen sponsors and vendors. 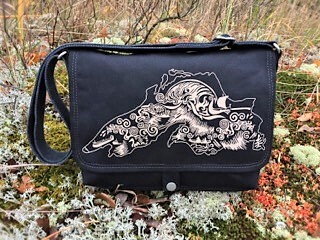 For example, take home this gorgeous Lake Superior handbag by Natalie Walbridge of Dock5. This activity is held in the Gnome Dome. all other sites are closed until Saturday at 9:00am. All Vendors must be approved by the Julebyen Committee. If you are a first time vendor, please submit resume and photos. Do not send a check until notified you are accepted. Website Copyright © 2015-2018 Julebyen Christmas Village™ All Rights Reserved.